Everyone knows "WordPress", the most widely used Content Management System (CMS) in the world. More than a quarter of web sites, or 75 million sites, are "built" on technology by WordPress. Except that there are actually two WordPress. WordPress.com - The commercial version "turn-key"
In their operation, the both "WordPress" are quite different. And in general, when talking about WordPress, it is the CMS developed by WordPress.org. You want to create your website with WordPress but Why You Should Choose WordPress CMS and even you do not know the differences between WordPress.org and WordPress.com? 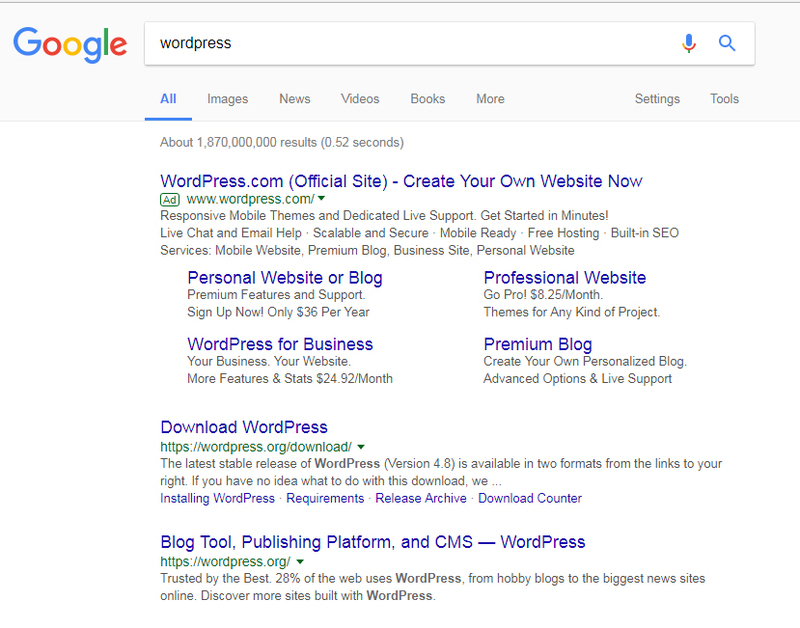 You have typed "WordPress" in Google and you do not understand that there are two different sites? This article is made for you. Interface, cost, hosting, themes, support, security, plugins, etc. You are told all about the differences between the Both WordPress. WordPress.com is a commercial hosting and website creation service (CMS) owned by Automattic. Wordpress.com, in its operation and its business model is very close to platforms like Wix, Shopify, Weebly. Except that WordPress.com uses the open source software WordPress - hence its name. Creating a website on WordPress.com can be done in a few clicks and requires no computer skills. To begin with, just choose a name for your website and choose a theme from those offered by the platform. Here's what the interface editing an article looks like on WordPress.com. WordPress.com offers several offers, one of which is free. By choosing the free offer, your website will display WordPress.com ads. You are also limited to 3 GB of storage space. Three other formulas - paying - are proposed. In these paid offers you can remove the WordPress.com ads from your website, you have more storage space and access to more features. WordPress.com is a hosted turnkey solution. This means that you do not have to worry about hosting your site: the platform takes care of everything. If you choose the free formula, the address of your site will use a subdomain: www.your-site.wordpress.com. The paid formulas make it possible to use a "real" domain name - without "wordpress.com" (www.yoursitename.com). You do not need to download and install software. Simply create an account on WordPress.com to start editing the content of your site. No hosting to find, no software to download: WordPress.com is ideal for people who are not comfortable with computing and who want to quickly be able to start creating their site. WordPress.com sites are secure and backed up on the platform server. But risk 0 does not exist. WordPress.com allows you to focus only on content creation. You do not have much to handle apart from that. If you do not want to bother about managing the FTP server (and besides you have never heard of this barbaric term), theme updates or plugins, WordPress.com is for you. WordPress.com is a proprietary solution, unlike WordPress.org which is an open source software. Concretely, this means that you do not have access to your site code, which you can not change. This greatly reduces the possibilities of personalization of your website. This is one of the great disadvantages of WordPress.com. You are forced to choose from one of the themes available in the WordPress.com template library. There are currently about 200 available. The library is regularly enriched with new themes. In the free offer, some themes are free, others pay (premium). In the "Premium" and "Enterprise" offers, you have free access to the "Premium" themes. The "Premium" themes are more customizable. WordPress is renowned for the incredible richness of plugins. Except that on WordPress.com, you have access to a fairly limited number of plugins. This, again, limits the possibilities in terms of customizing your site. From the point of functional wealth, WordPress.com does not get to the ankle of WordPress.org. If you choose the free offer, you have no customer service. You should settle for WordPress guides and forums. In paid offers, you have access to an email support and a live chat. You have to be content with the statistics provided by WordPress and accessible from the backoffice interface of your site ... Unable to connect your site to Google Analytics unless you opt for the offer "Enterprise". The e-commerce features are only available in the "Enterprise" offer. Even in the Enterprise offer, you must necessarily use the sales system of WordPress.com. So if you want to create an e-commerce site, WordPress.com is clearly not the right solution. The WordPress software is free to download. But that does not mean that creating your site is completely free. You will have to choose a hosting (paying), possibly buy a domain name, a theme, plugins, etc. It's up to you to find a hosting for your WordPress site. Without hosting, your website will not be published on the internet. Bluehost, Godaddy offers quite interesting Hosting packages, with a step-by-step accompaniment (ideal if you do not know how to do it). Other specialized players offer more advanced hosting solutions. You must buy a domain name, or import a domain name you already own (assuming a migration for example). The advantage is that "WordPress" will not appear in the URL. The downside is that it pays off (Few Dollar Per Year). You can purchase your domain name from your hosting provider, or from a registrar. 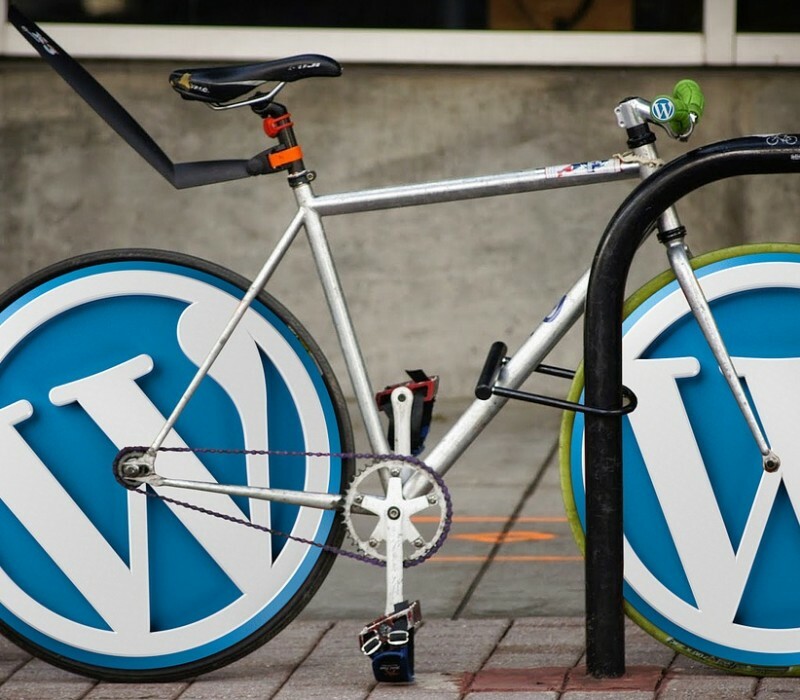 To access the editing interface of your site, you must first download the WordPress software from the WordPress.org site and then install it on your server (using the FTP protocol). This step is quite technical, although you will find many tutorials on the internet accessible for beginners (including this one ). The installation of WordPress is the step that rejects the most beginners (and that incite many people to turn to WordPress.com ...), but with a little will, one arrives at everything (even being a novice) . Unlike WordPress.com, running a WordPress.org site is not limited to publishing content on a regular basis. You must manage hosting, update plugins, update your theme, and perform other maintenance tasks. On this subject, read our article " How to anticipate the maintenance costs of your e-commerce site? ". By using the WordPress software downloaded on WordPress.org, you use the open source version of WordPress. This means that you have access to the source code (html, css ...) of your website. This access allows you to customize your WordPress site, integrate tags on your pages, etc. You will find on the site WordPress.org a directory containing tens of thousands of free plugins. You will also find on the internet many sites offering WordPress plugins - some free, others paying. The unparalleled amount of plugins available is one of the big highlights of WordPress. Plugins allow you to add new features to your site and push your customization very far. Of course, you can also create your own plugins. We invite you to discover the TOP 100 of the best WordPress plugins (according to Insidaweb). WordPress.org is not a commercial platform. So there is no customer service (no email, no phone, no livechat ...). However, you will find answers to all your questions about the hundreds of forums and resources available on the internet. You are free to use the webanalytics solution (s) of your choice to analyze the traffic of your website, to do testing, etc. Most analytics tools offer WordPress plugins. We strongly recommend that you install Google Analytics. It is even the minimum. There are several high-quality plugins to transform a WordPress site into an online store. We recommend WooCommerce, with a wealth of functional rather amazing. Unless you have very basic needs, you want to create a "simple" site, quickly and without taking your head for a second, we advise you to choose Wordpress.org without hesitation. WordPress.org allows you to create fully tailored, ultra-customized websites and integrate advanced features. WordPress.org meets all needs, including the most complex ones. This is clearly not the case with WordPress.com. With WordPress.com, you are very limited in terms of plugins, you have a limited choice of themes (themes that do not lend themselves to a personalization push), you can not touch the code (to modify the stylesheets for example). Certainly, creating a site with WordPress.org takes longer, But you will not regret it because you will have total control over your site. To go further on the differences between WordPress.com and WordPress.org, we recommend reading this comparative article . Note: This article contains affiliate links. If you subscribe to a paid account after clicking on one of the links in this article, La Fabrique du Net will receive a small commission.